The choice of vehicle to be used for a private equity fund usually depends on whether the fund will target investments from Colombian institutional investors (such as pension funds and insurance companies) and its investment policies (ie, whether or not it intends to invest in Colombian publicly listed securities). For the purposes of this chapter, we have assumed that the fund will be targeted at Colombian institutional investors and that its investment policy is aimed primarily at investing in assets other than Colombian publicly listed securities. Colombian private equity funds are a special type of ‘closed-end portfolio investment fund’, a legal mechanism contemplated by Colombian law to collect or manage sums of money or other assets, made up of the contribution of several persons and to be managed in a collective manner to obtain collective financial results. Colombian regulation contemplates two main types of portfolio investment funds on the basis of the moment at which contributions can be made into the fund and the moment at which the contributions can be redeemed: ‘open-end’ funds, and ‘closed-end’ funds (the latter being funds that only allow contributions at preset times and, as a general rule, only allow redemptions at the predefined date (generally the end of the term of the fund). Although Colombian private equity funds, as well as other portfolio investment funds, are not recognised as separate legal entities, assets held by each fund constitute an estate that is legally separate from the estate of the fund’s investors, managers and its administrators. Because the tax treatment afforded to institutional investors and foreign investors is different (institutional investors are, generally, not subject to Colombian income tax, while foreign investors are) many Colombian fund managers targeting both Colombian institutional investors and foreign investors will establish two parallel vehicles within the overall fund structure: a Colombian private equity fund and an offshore limited partnership structure (typically established in jurisdictions such as the Cayman Islands), that enter into a parallel investment agreement. the profile of the persons who will participate on the investment committee and who will manage the private equity fund. The fund will be deemed authorised if the SFC does not state otherwise within the 10 days following the filing of information. Thereafter, the private equity fund will be subject to the regulatory control of the SFC. However, the SFC will withhold information required for the fund to comply with its reporting obligations until it is satisfied that the fund’s by-laws are consistent with applicable law and regulation. In practice, this means that some sort of authorisation from the SFC is required, which is inconsistent with the regulation that expressly states that private equity funds do not require authorisation from the SFC. Unsurprisingly, sponsors rarely contest the SFC’s position. Colombian private equity funds must have at least two investors, who must invest at least 600 minimum monthly salaries, in aggregate. Investors will receive rights to the private equity fund, which will be in the form of securities that may be publicly traded, if so established in the fund’s by-laws. From a regulatory perspective, a Colombian private equity fund may only be established by the fund’s administrator. Only Colombian ­broker-dealers, trust companies and investment management companies are authorised to act as fund administrators. In practice, the initiative to establish a Colombian private equity fund rarely comes from the fund’s administrator. Typically, it is the fund’s prospective manager who will take that initiative and, at some point in the fund’s promotion process, engage a registered broker-dealer, trust company or investment manager to act as the fund’s administrator. The fund administrator is in charge of all operational matters (such as acting as legal representative, keeping books and records and acting as corporate secretary). In principle, it is also in charge of managing the private equity fund. This includes anything from implementing the investment plan of the fund, assessing the risks associated with the fund’s activities, collecting moneys owed to the fund, paying the distributions to the investors and keeping the fund’s books and records. However, when the fund administrator appoints a fund manager, the responsibility of the former for the implementation of the fund’s investment plan will shift to the latter, and the fund administrator will remain liable with respect to investments solely for negligence in the selection of the fund manager or any failure in the supervision of the activities of the fund manager. The fund manager may be an individual or entity, Colombian or foreign, that is an expert in the management of the type of assets that the particular private equity fund will hold. The fund manager must have sufficient experience and be well known in Colombia or abroad, and must comply with the experience, knowledge and reputation requirements described in the private equity fund’s by-laws. Access to information about a Colombian private equity fund will depend on whether its membership interests are publicly listed or not. If the fund is not publicly listed, the information that the public is granted by law is limited to basic organisational information (such as the name, tax identification number, corporate address, the name of the fund administrator and the fund administrator’s website URL). changes in the ownership of 5 per cent of the issued and outstanding shares of the issuer. The notes to the financial statements would include a list of the fund’s 20 largest investors, and the number of membership interests held by each. The information is accessed online on the SFC’s public information system (www.superfinanciera.gov.co/web_valores/Simev). 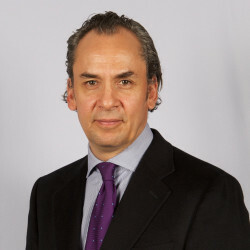 Based on general principles applicable to other types of legal entity, the limited liability of third-party investors in a Colombian private equity fund would not be respected if the fund was used by third-party investors for the commission of fraud or with the intent of damaging third parties. afford all investors equal treatment. The fund’s manager is obliged to act in a professional manner, with the diligence that can be expected from a prudent and diligent person with expertise in the management of portfolio investment funds and observing the fund’s investment policies and its by-laws. In particular, the fund’s manager is obligated to invest the fund’s assets as set out in the fund’s investment policies and institute appropriate measures to follow up and supervise compliance with this obligation. The fund’s manager is also expressly required to keep the fund’s matters confidential, to report conflicts of interest to the fund’s advisory committee and to heed the advisory committee’s recommendations on how to manage such conflicts of interest. These fiduciary duties cannot be modified by agreement of the parties. Colombian law requires the fund’s administrator to discharge its duties under an ordinary negligence standard of liability and the fund’s mana­ger to act with the diligence that can be expected from a prudent and diligent person with expertise in the management of portfolio investment funds. Colombian private equity funds can only invest up to one third of the investors’ contributions in Colombian publicly listed securities. No single pension fund can hold more than 40 per cent of a Colombian private equity fund’s membership interests. A Colombian private equity fund cannot invest in assets, membership interests or securities when the owner, seller or issuer of which is a pension fund manager that is an investor in that fund. The same applies to any affiliate of such pension fund manager. Because the tax treatment afforded to institutional investors and foreign investors is different (institutional investors are, generally, not subject to Colombian income tax, while foreign investors are), many Colombian fund managers targeting both Colombian institutional investors and foreign investors will establish two parallel vehicles within the overall fund structure: a Colombian private equity fund and an offshore limited partnership structure (typically established in jurisdictions such as the Cayman Islands), that enter into a parallel investment agreement. Conversion or redomiciling to vehicles in Colombia is not expressly prohibited, but prior attempts to do so have faced insurmountable practical obstacles. The bankruptcy, insolvency, change of control, restructuring or similar transaction of a Colombian private equity fund’s sponsor are not expressly addressed in Colombian law or regulation and thus do not have legally prescribed consequences in Colombia. Such circumstances are typically addressed in the fund’s by-laws (usually by giving the investors the right to remove the fund manager). The main regulatory body that has authority over a Colombian private equity fund is the SFC. The SFC’s broad mission is to preserve public confidence and stability of the financial system by maintaining the integrity, efficiency and transparency of the stock market and other financial assets as well as ensuring the rights of financial users. order the dissolution and liquidation of Colombian private equity funds. Establishing a Colombian private equity fund does not require express governmental authorisation: the fund will be deemed authorised if the SFC does not state otherwise within the 10 days following the filing of the fund’s by-laws with that entity. Thereafter, the private equity funds will be subject to the regulatory control of the SFC. However, a Colombian private equity fund may only be established and administered by Colombian broker-dealers, trust companies and investment management companies. Broker-dealers, trust companies and investment management companies are all entities that must be created and operate pursuant to Colombian regulation, under the supervision of the SFC, and the scope of what they can and cannot do is limited to what is expressly authorised under Colombian law. While broker-dealers and trust companies are heavily regulated in their incorporation and operation, investment management companies are less so. However, these entities must be incorporated following the same steps applicable to other financial entities and must have a significant minimum capital. The manager of a Colombian private equity fund does not have to register as an investment adviser, nor do any of its officers, directors or control persons. The manager of a Colombian private equity fund may be any individual or entity, Colombian or foreign, that is an expert in the management of funds and in the type of assets that the particular private equity fund will hold. The fund’s administrator must have sufficient experience and be well known in Colombia or abroad, and must comply with the experience, knowledge and reputation described in the private equity fund’s by-laws. There are no rules in Colombia aimed specifically at private equity funds that restrict, or require disclosure of, political contributions by a private equity fund’s manager or investment adviser or their employees. Public pension plans do not invest in private equity funds, except for specific pension plans expressly authorised to invest, such as Fopep (the national level public employees pension plan). A limited number of governmental entities (such as Bancoldex, a development bank) will invest, to the extent their charter expressly allows them to. There are no rules in Colombia aimed specifically at private equity funds that restrict, or require disclosure of, the engagement of placement agents, lobbyists or other intermediaries in the marketing of the fund to public pension plans and other governmental entities. Colombian banks are only allowed to invest in securities and other assets that are expressly listed in applicable laws and regulations. Membership interests in private equity funds have not been on the list of permissible investments since before the recent global financial crisis. However, other credit entities, namely financial corporations, may invest in private equity funds. Most Colombian financial groups will have both a bank and a financial corporation in their structure that may support an investment in private equity. Colombian private equity funds are ‘fiscally transparent’ for Colombian tax purposes. In other words, they are not subject to tax in Colombia, and their investors will be subject to tax in Colombia as if they were the direct owners of the fund’s underlying assets. Colombian private equity funds are, however, tax withholding agents, and will be required to withhold taxes on distributions to investors, as may be applicable depending on the tax treatment applicable to such investors. Institutional investors such as pension funds are, generally, not subject to Colombian income tax, and thus no withholdings will apply. Non-residents without permanent establishment in Colombia are subject to income tax exclusively on their Colombian-sourced income. In general, Colombian-sourced income is defined as income derived from services rendered in Colombia, the transfer of any kind of assets that are located inside the country at the time the transfer takes place or the exploitation of assets located inside the country. Interest paid on foreign loans is defined as Colombian-sourced income as well. Income derived from services rendered outside the country, or from the transfer of any kind of assets that are located outside the country at the time the transfer takes place, or from the exploitation of assets located outside the country, constitutes foreign-sourced income. The base on which a foreign entity or individual is taxed in Colombia varies depending on whether the investor has established a business presence (a branch office or a Colombian affiliate) or created a permanent establishment in Colombia. if the fund is distributing amounts corresponding to interest paid by a Colombian borrower of the fund, a 15 per cent income tax withholding would apply. A 20 per cent rate would apply if the period of the loan was less than a year and 5 per cent reduced rate is available for financing of certain P3 projects. Income tax withholding will be applied at the time of distributions only if the fund is listed on an acceptable stock exchange or if there is no beneficial owner holding more than 50 per cent interest in the fund (investor groups, families and affiliates will be aggregated to determine whether the 50 per cent threshold is met). Reduced withholding rates are available under double taxation treaties. Non-resident investors are generally not subject to income tax return-filing requirements in Colombia if their income has been subject to applicable withholdings (ie, the amounts withheld are the final tax). If there is any uncertainty regarding the local tax treatment of a private equity fund vehicle, a ruling from local tax authorities could be useful in dispelling such uncertainty. However, such a tax ruling is only exceptionally required or sought. There are no significant organisational taxes to be paid with respect to private equity funds organised in Colombia. Taxation of the Colombian private equity fund’s sponsor will depend on a variety of factors, including how the sponsor’s income is characterised and whether the sponsor is a resident of Colombia. if the sponsor is not a Colombian resident and is not deemed to be effectively managed in Colombia, and the management fee or carried interest, or both, are characterised as fees for services rendered from abroad, then such fees would be subject to a 15 per cent withholding tax. Colombia has double taxation treaties under the OECD guidelines in effect with Canada, Chile, the Czech Republic, India, Korea, Mexico, Portugal, Spain and Switzerland, and has signed treaties with France, Italy and the United Kingdom, which are still undergoing approval procedures. It is in the process of negotiating tax treaties with Belgium, Germany, Israel, Japan, the Netherlands, the United Arab Emirates and the United States. The Andean Community treaties (in force with Bolivia, Ecuador and Peru) also contain some double taxation provisions. These double taxation treaties will typically reduce or eliminate Colombian tax on the income derived by a relevant treaty country resident (for example, capital gains received by a resident of Spain for the sale of shares of a Colombian portfolio company would generally not be taxed in Colombia, as opposed to a capital gains tax of 10 to 33 per cent (plus surcharge, where applicable) that would otherwise apply). Foreign investors may take advantage of certain features of private equity funds such as the fact that income tax withholding is only applied when there is a cash distribution and the fact that all distributions by the fund are first credited as a reimbursement of their equity investment, and only when equity has been reimbursed in full is the investor deemed to be receiving profits, which may in practice result in deferred taxes. These benefits are subject to certain restrictions, namely either listing on a stock exchange or lack of material concentration in the same beneficial owner. made through any mass communications media with the purposes of selling, subscribing or acquiring securities. Unless otherwise expressly set out in the fund’s by-laws, Colombian private equity funds are automatically registered in the National Securities Registry, and therefore are ‘pre-approved’ for public offer and sale to all types of eligible investors. Colombian law does not establish restrictions on the types of investors that may participate in private equity funds formed in Colombia. The fund’s by-laws will often establish restrictions (eg, by only allowing professional investors) in an effort to avoid the heightened scrutiny from the SFC that would normally accompany a fund that is aimed at a broader universe of potential investors. Colombian law requires ongoing filings with the SFC regarding the identity of investors in private equity funds. The offering of interests in a Colombian private equity fund must be conducted through the management company (a broker-dealer, trust company or investment management company), which must be registered as such with the SFC. However, third-party fund managers will generally be allowed to offer interests in the fund. avoiding the receipt of investments or contributions from, or relationships with, entities established in non-cooperating countries, as identified by the International Financial Action Task Force, the United States Department of the Treasury or other internationally recognised agencies. SARLAFT requires, among other obligations, that the fund administrator request from investors all information required to identify themselves, their beneficial owners and the source of their assets, and that the fund administrator and the fund manager conduct due diligence to get to know the fund’s counterparts and its targets. It also requires the fund’s administrator to report any suspicious transactions. The fund administrator and the fund manager are responsible for complying with such rules and procedures when discharging their duties with respect to the fund. Unless otherwise expressly set out in the fund’s by-laws, Colombian private equity funds are automatically registered in the National Securities Registry, and therefore are pre-approved for public offer and sale to all types of eligible investors. Registration with the National Securities Registry entitles the fund to be listed on the Colombian stock exchange. However, Colombian private equity funds are rarely listed. This is probably because Colombian private equity funds are targeted at a small universe of potential investors (pension funds and other institutional investors) and the secondary market for these products is yet to develop. It is anticipated that there will be an increased appetite for private equity fund listings to secure for the investors the benefits of being subject to taxation (income tax withholding) only at the time of distribution by the fund as opposed to taxation at the time the fund accrues the income. As a matter of general principle, a listed fund would not be able to restrict transfers of membership interests to certain types of investors. Colombian private equity funds can only invest up to one third of the investors’ contributions in Colombian publicly listed securities. Certain exceptions are available when the fund invests in debt securities of certain P3 projects. Because the tax treatment afforded to institutional investors and foreign investors is different (institutional investors are, generally, not subject to Colombian income tax, while foreign investors are) many Colombian fund managers targeting both Colombian institutional investors and foreign investors will establish two parallel vehicles within the overall fund structure: a Colombian private equity fund and an offshore limited partnership structure (typically established in jurisdictions such as a the Cayman Islands), that enter into a parallel investment agreement. Other than for tax reasons (as described in question 21), generally there are no legal or regulatory issues that would affect the structuring of the sponsor’s compensation and profit-sharing arrangements with respect to the fund. From a practical perspective, because management fees are governed by market practice and the Colombian private equity fund requires a fund administrator, the administrator’s fees will usually ‘bite into’ the sponsors’ management fees, so that the aggregate of both fees does not exceed the market fees. The Colombian government issued Decree 1984/2018 that provides regulation for private equity funds independent from other close-end or open-end portfolio investments. The new regulation makes clear the path for investments through debt instruments (previously only clearly open for P3 financing) as well as bond issuances by private equity funds.